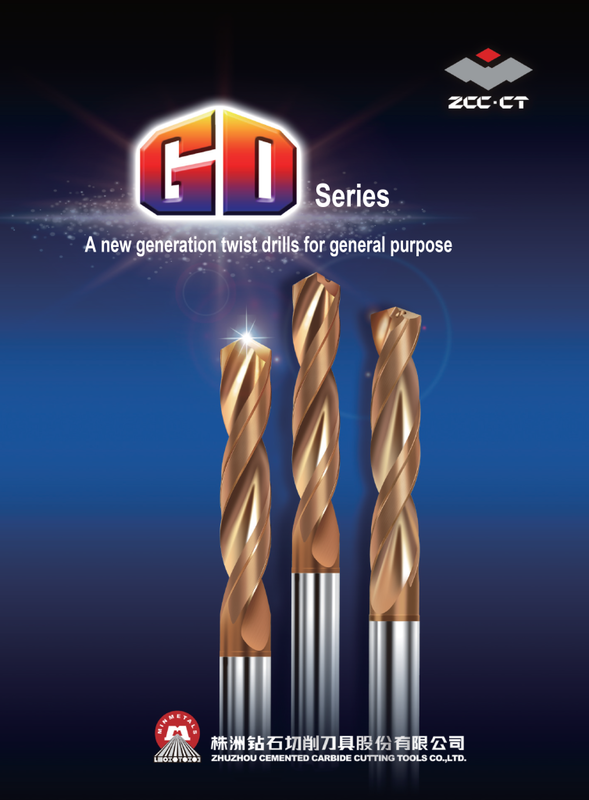 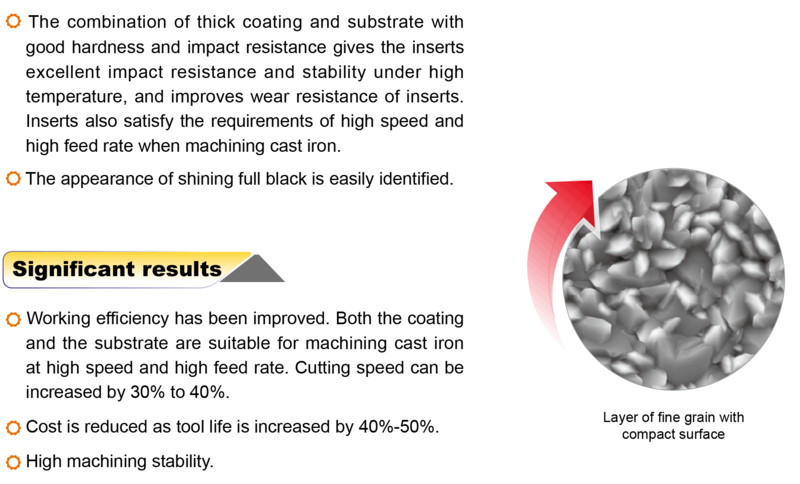 Special coating techniques make inserts smooth, which leads to low friction and unobstructed chip flow. 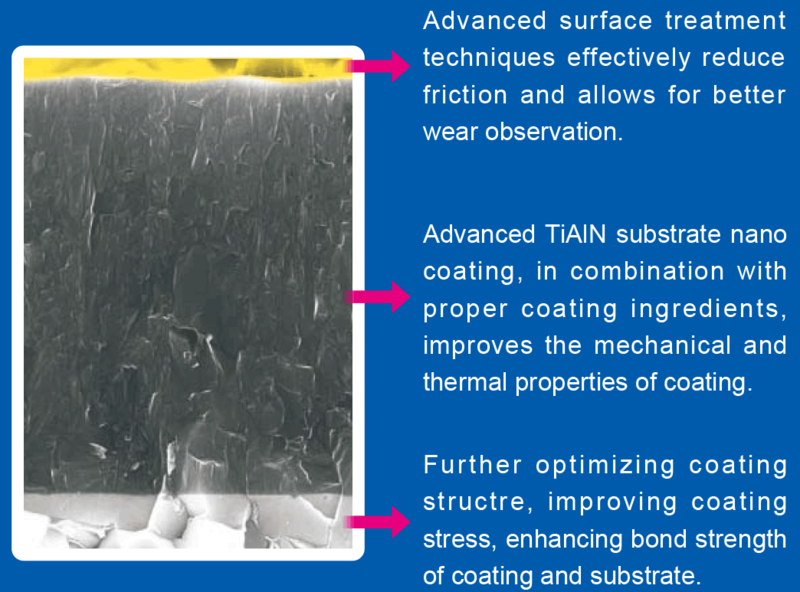 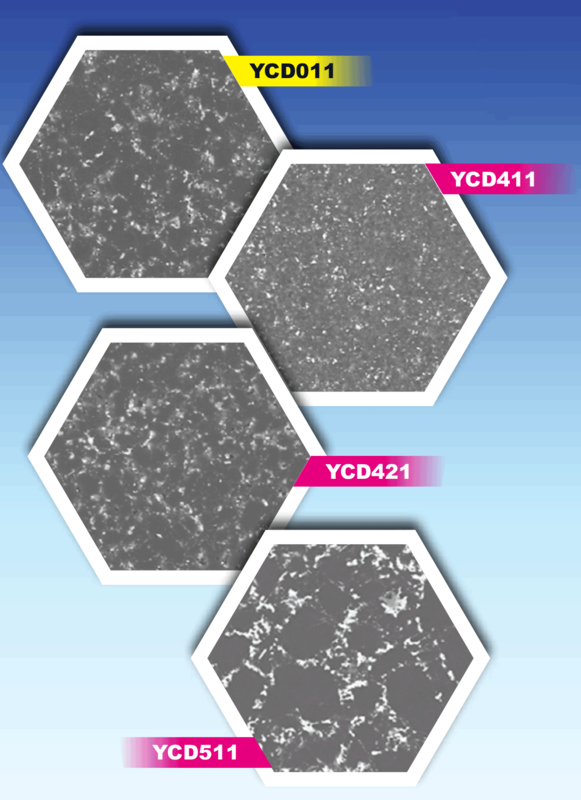 Unique coating with nano structure closely integrates with substrate, ensuring higher hardness and toughness. 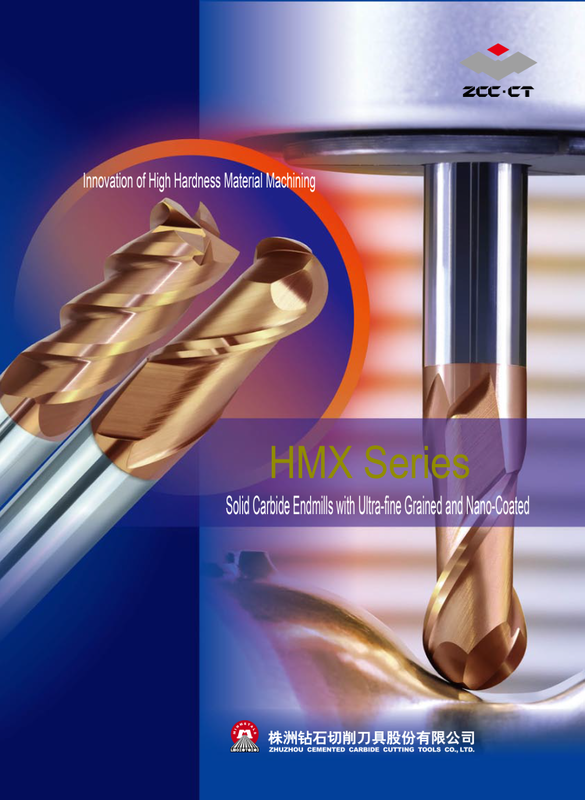 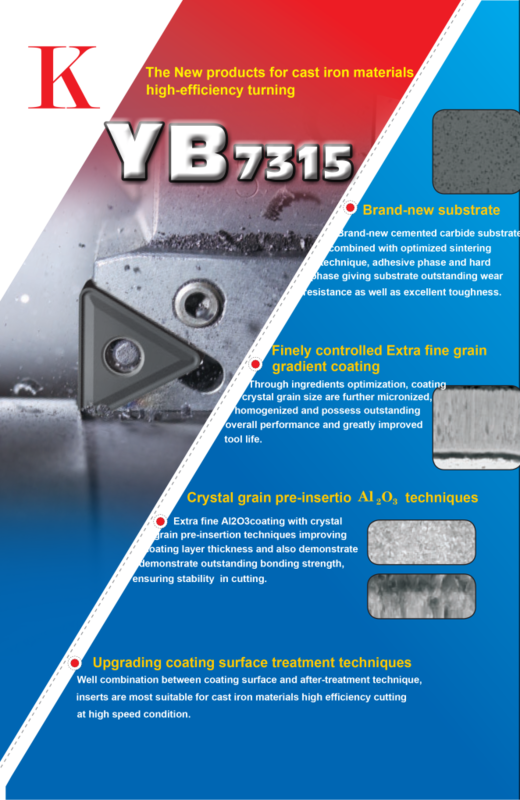 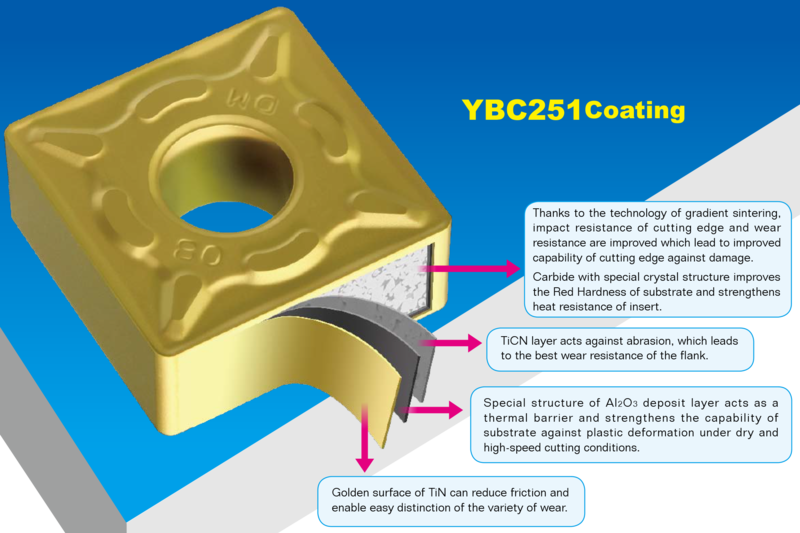 Excellent thermal stability and chemical stability can effectively protect cutting edge. 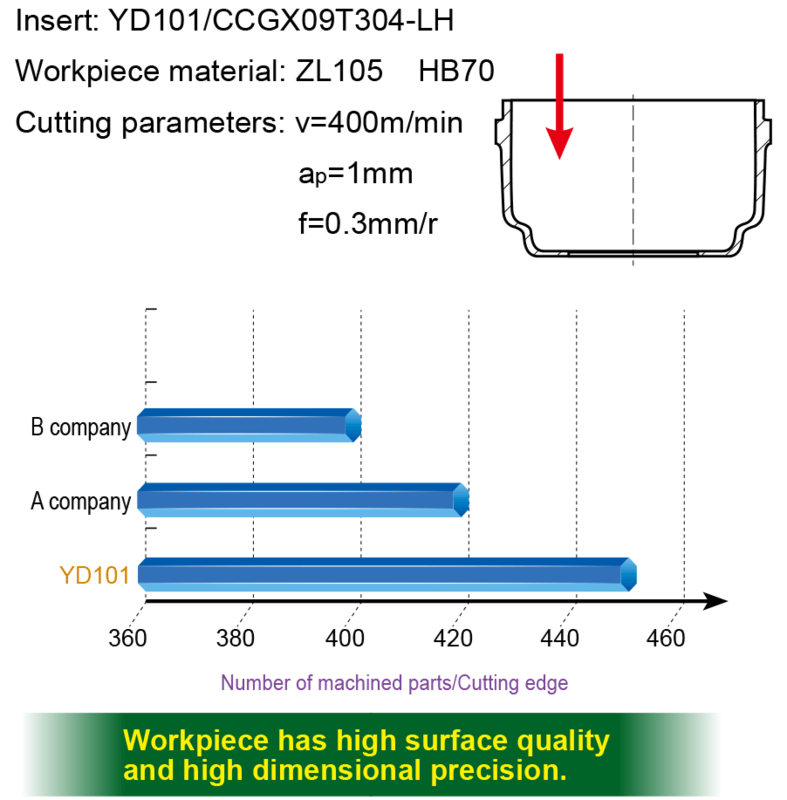 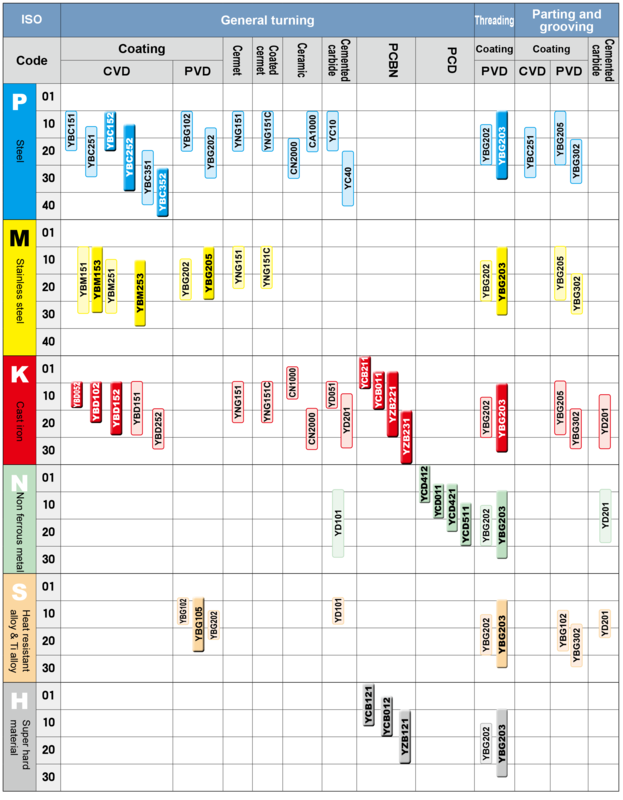 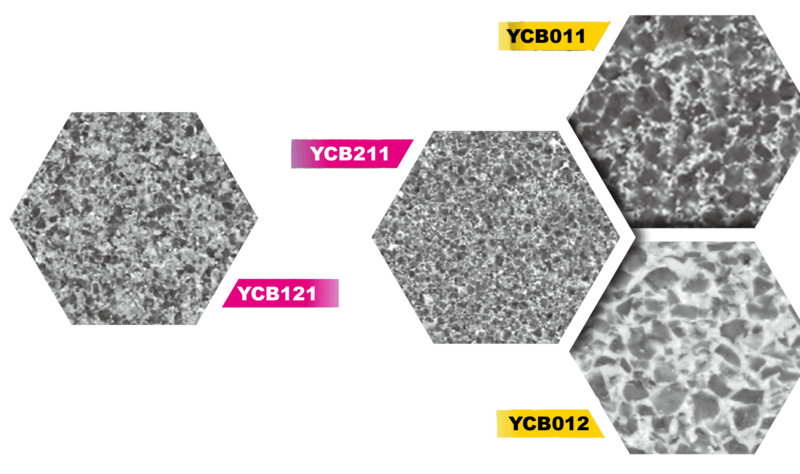 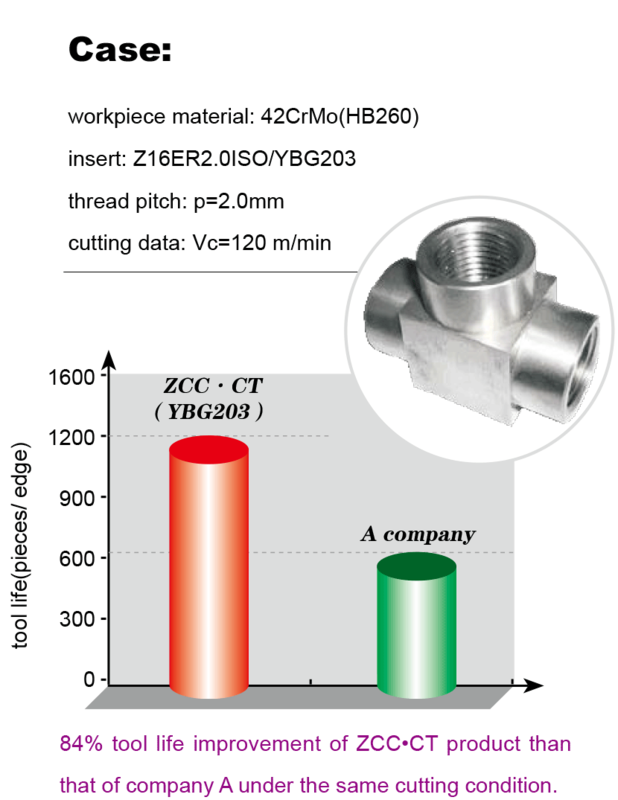 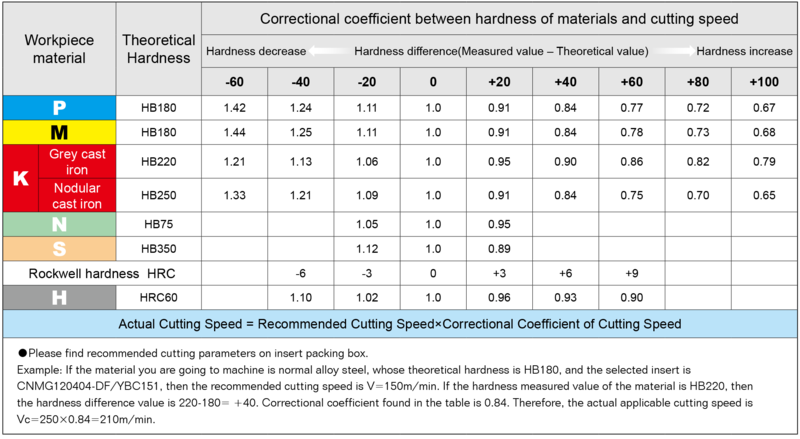 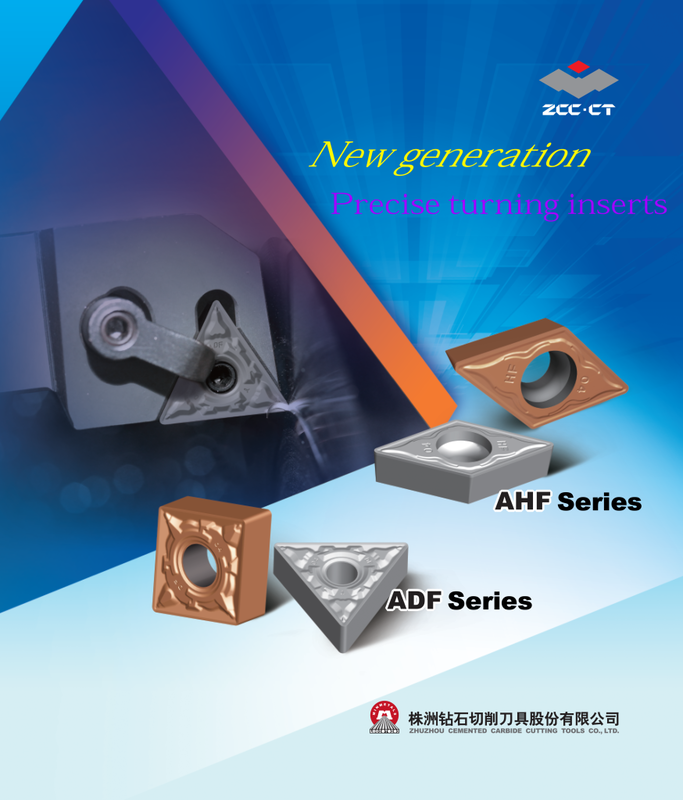 The chemical stability between Ti(CN) base cermet inserts and workpieces is relatively high, which reduces the friction and temperature of the cutting edge during cutting, preventing mutual diffusion of atoms of the workpiece material and the inserts, and improving resistance to bonding abrasion. 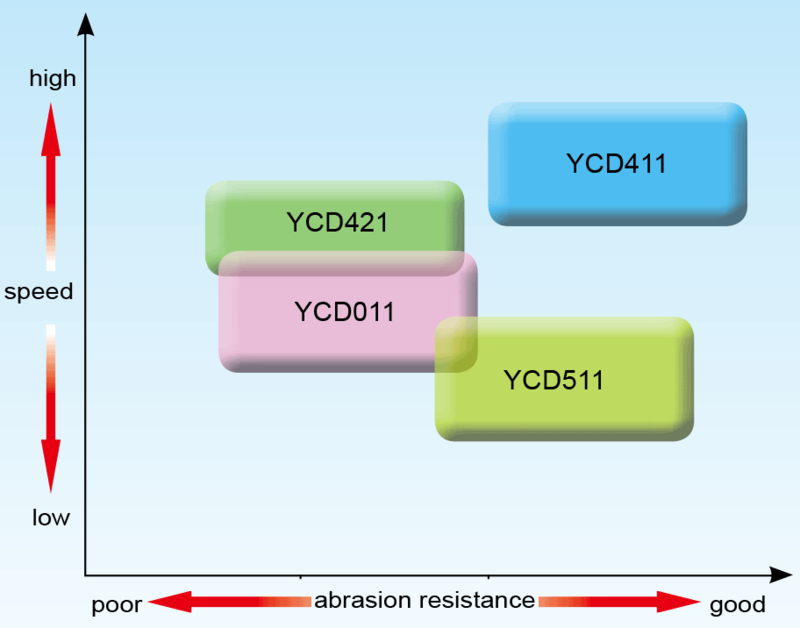 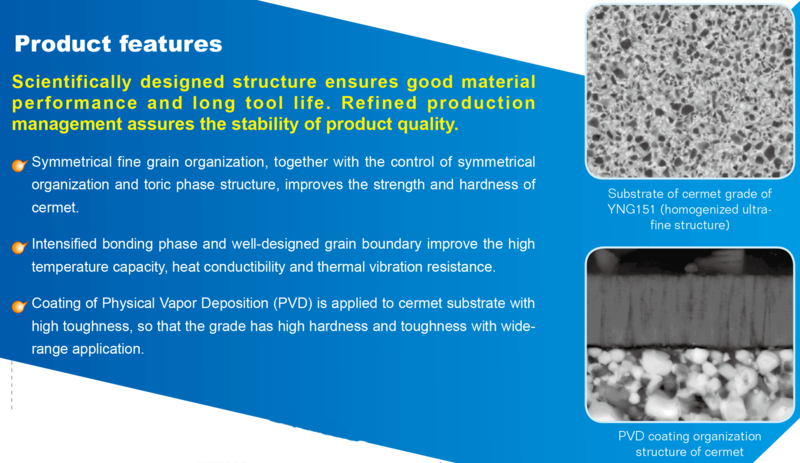 Therefore, Ti(CN) base cermet shows good capability of Red Hardness and resistance to crater wear. 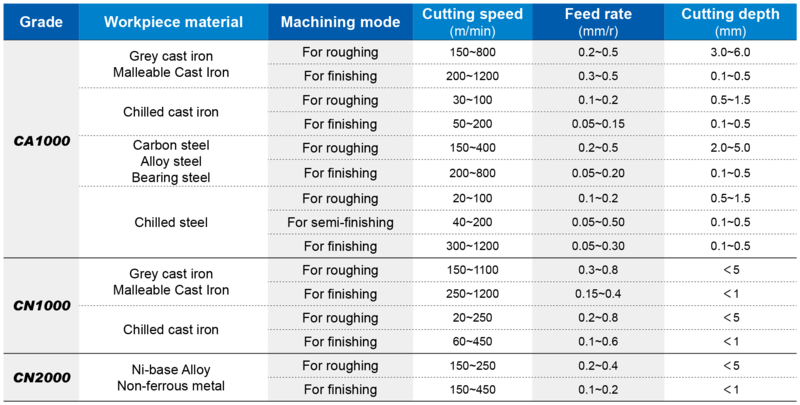 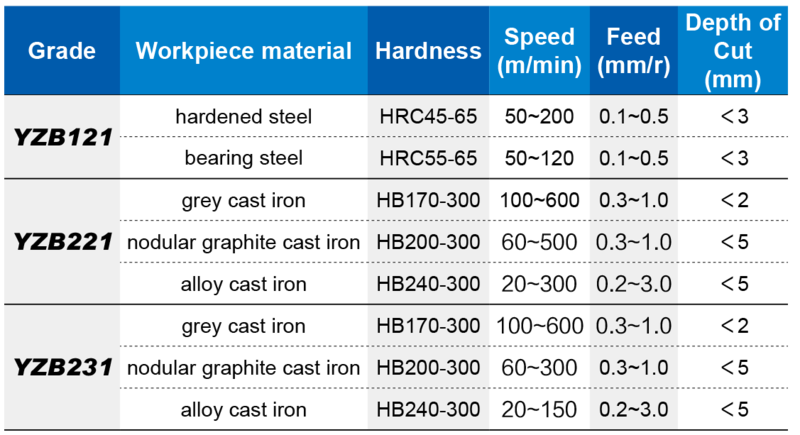 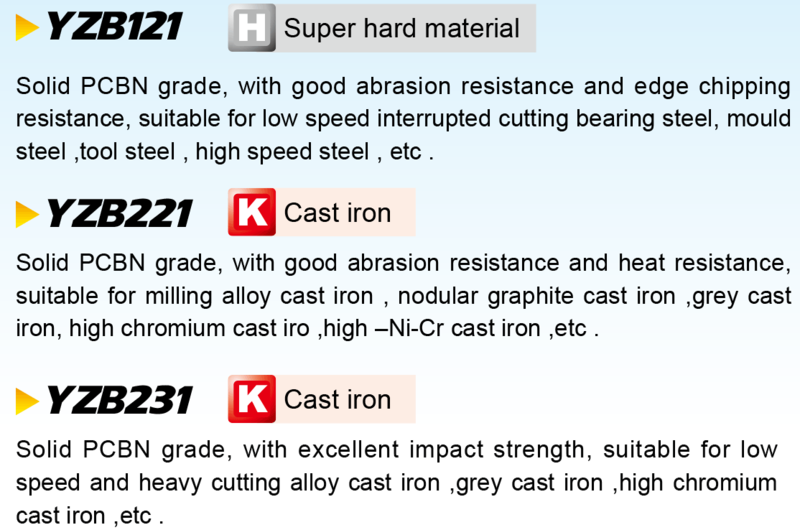 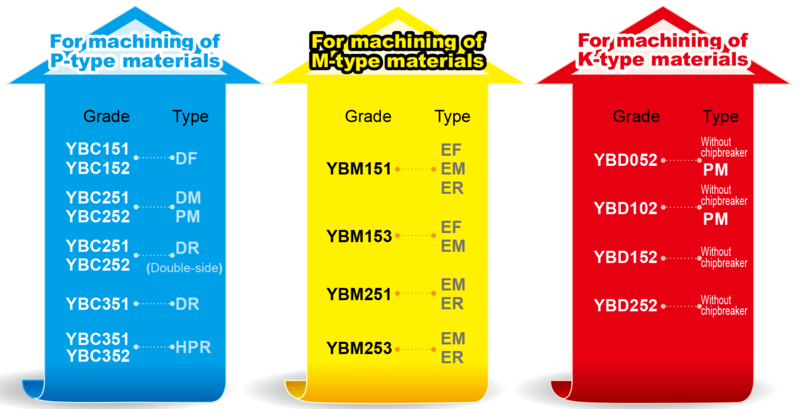 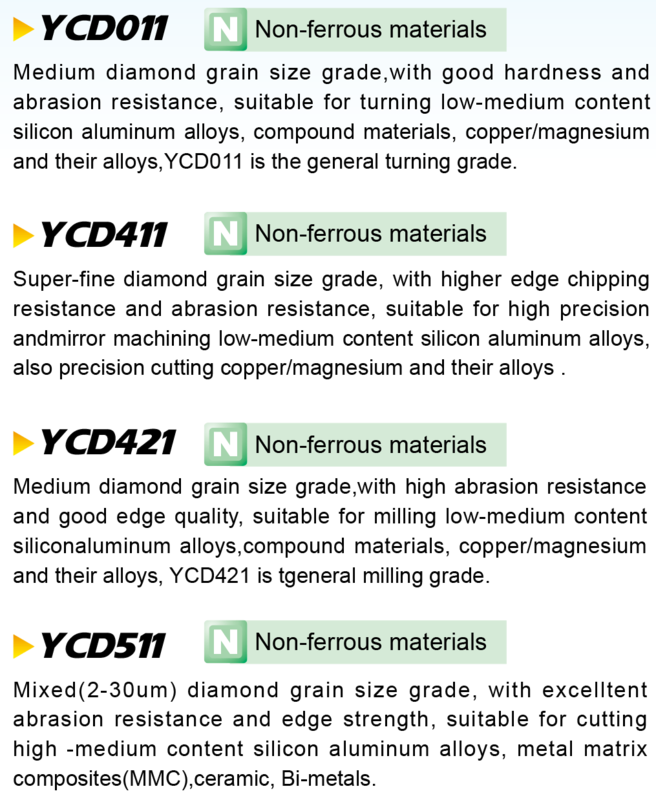 It is an optimal material for high-speed finishing and semi-finishing of steel. 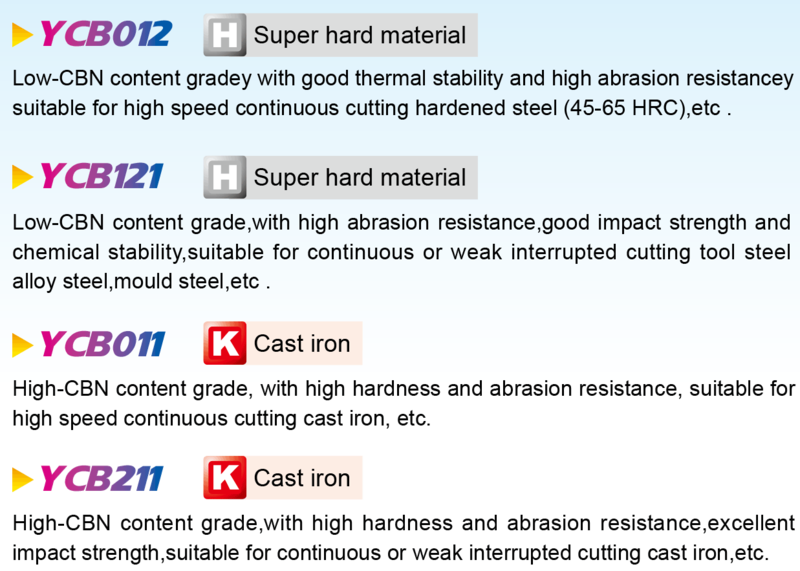 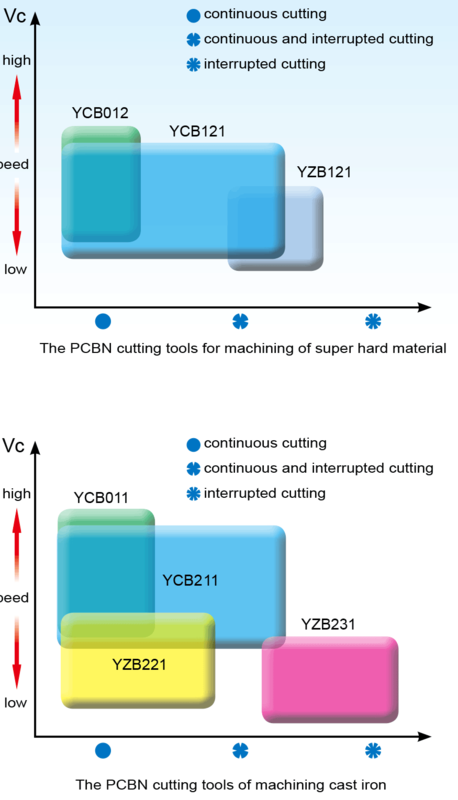 High temperature strength of cermet is higher than that of WC-Co, and toughness better than that of Al2O3 and Si3N4 ceramic. 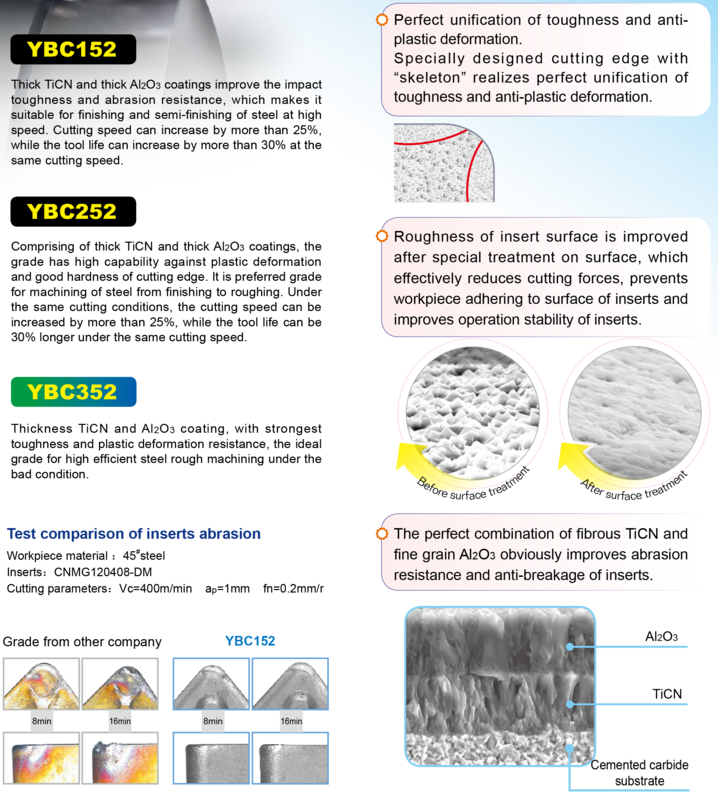 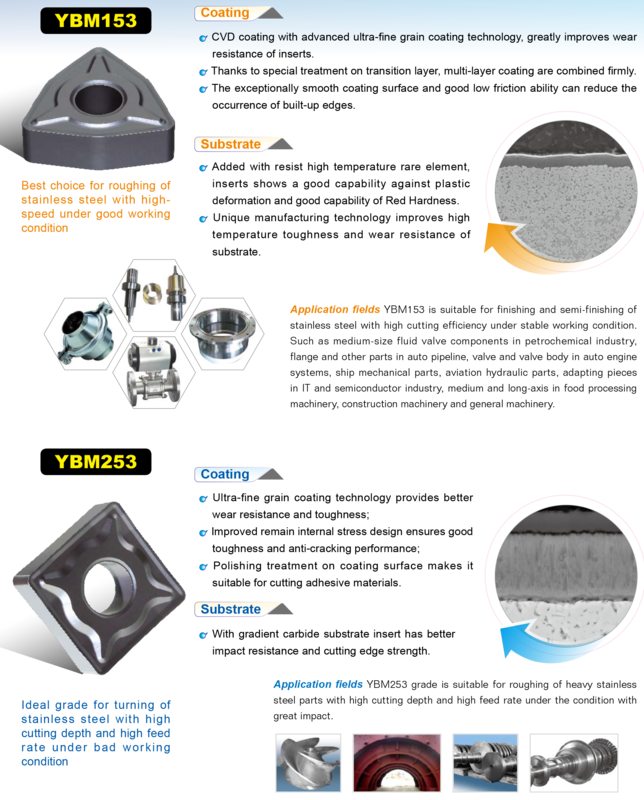 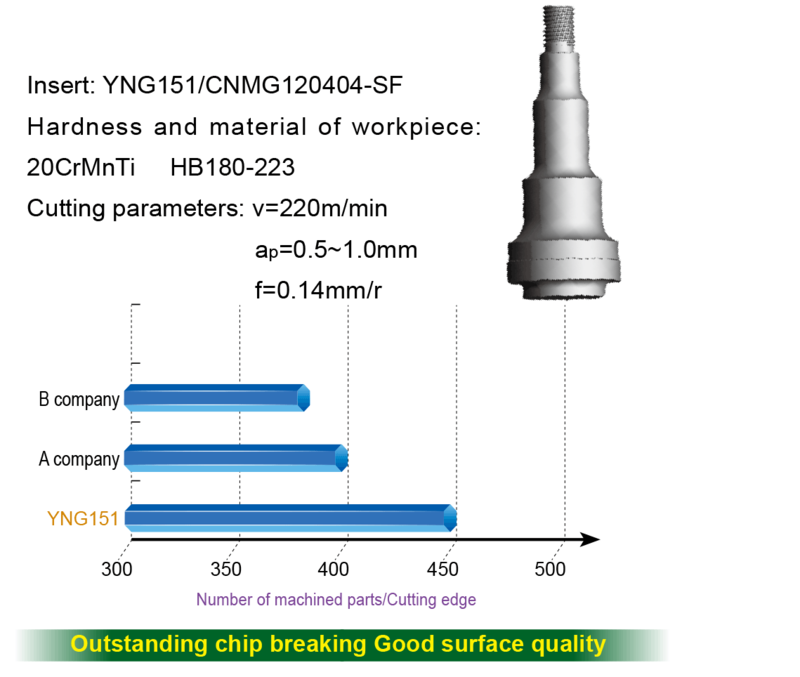 This fulfils the application blank of WCbase cemented carbide and Al2O3 and Si3N4 ceramic from finishing to semi-finishing at high speed. 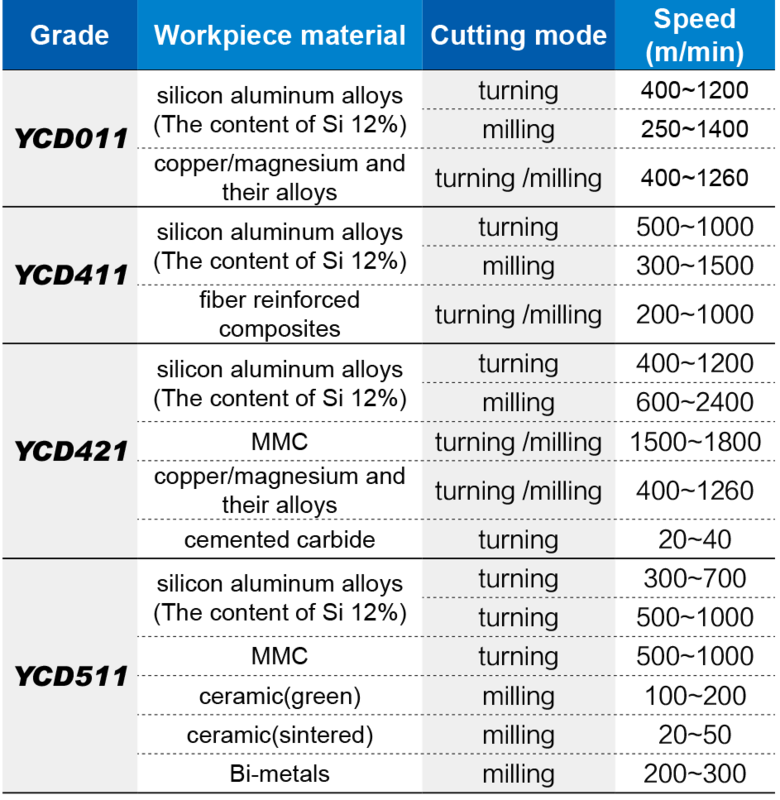 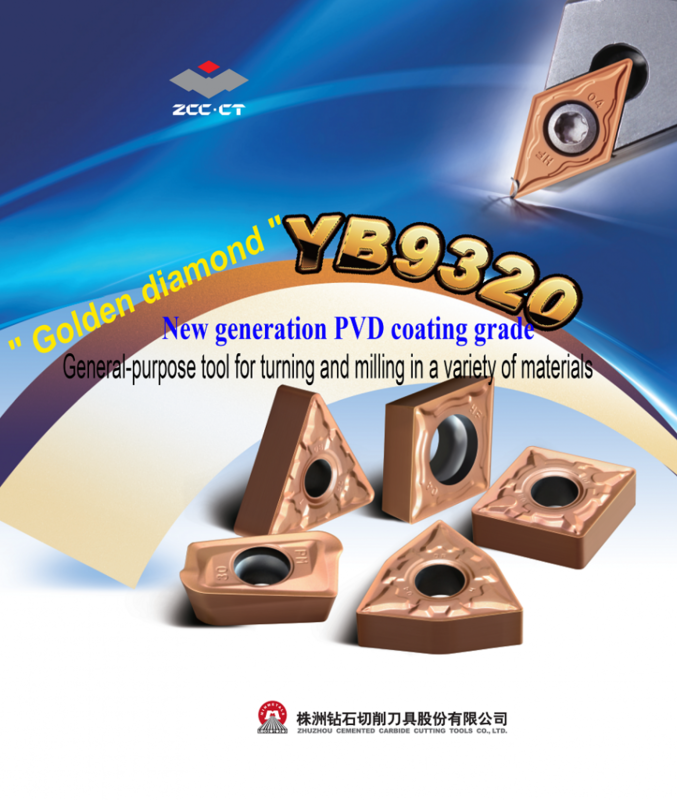 Uncoated cemented carbide grade is widely used for machining of non-ferrous metal, high temperature alloy, etc. 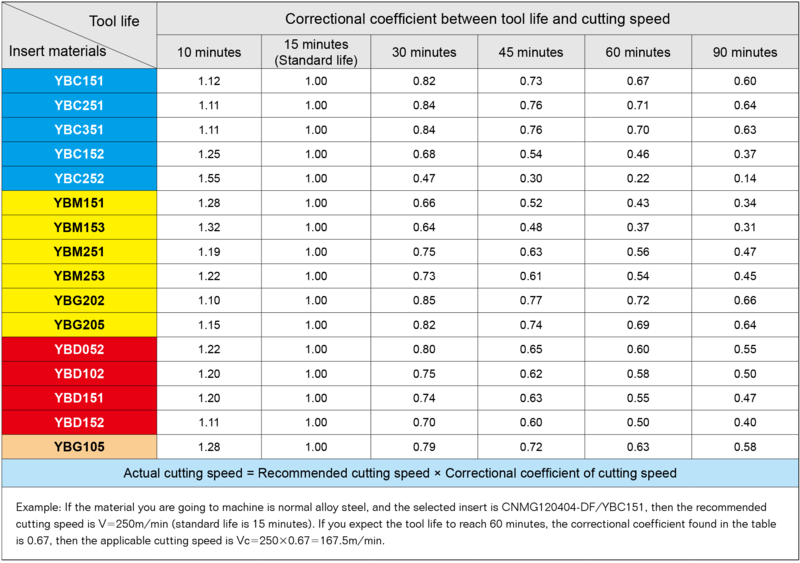 It is economical and can be universally applied. 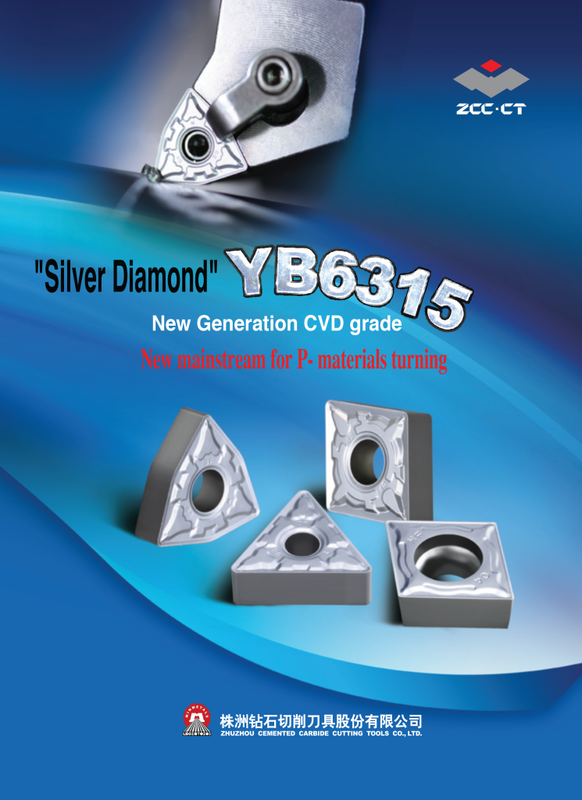 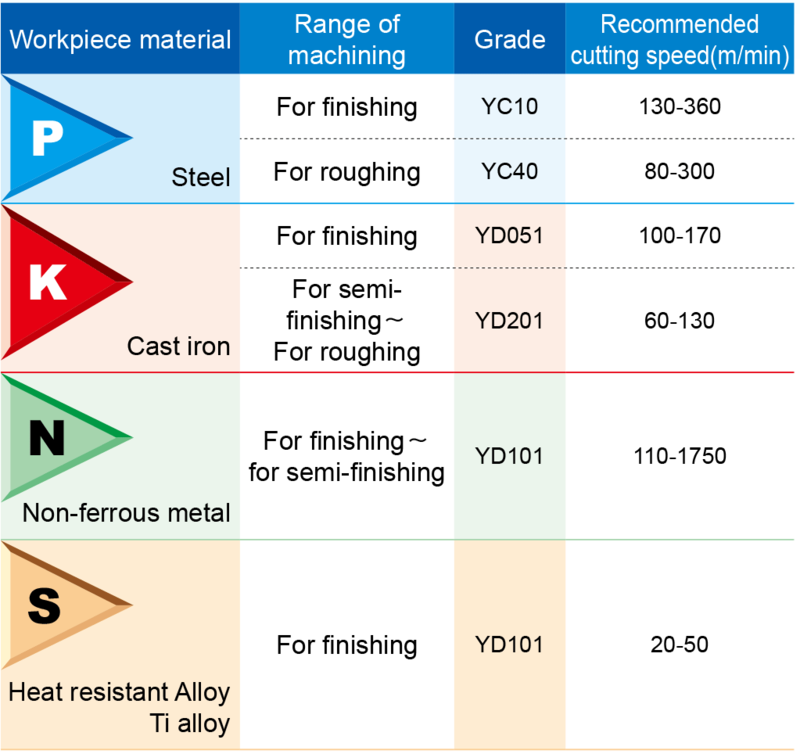 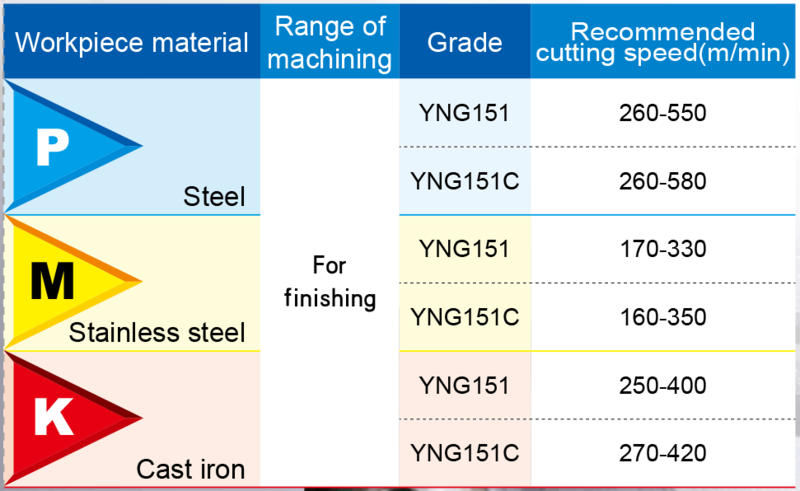 PCBN cutting tools with high hardness, abrasion resistance , good heat resistance and high temperature hardness for cutting of hardened steel greater than 45 HRC (such as carbon steel , bearing steel, mould steel and high speed steel, the cutting temperature could be 1300°C), grey cast iron, nodular graphite cast iron, chilled cast iron and Ni-based, Cobased, Cr-based and Fe-based high temperature alloy. 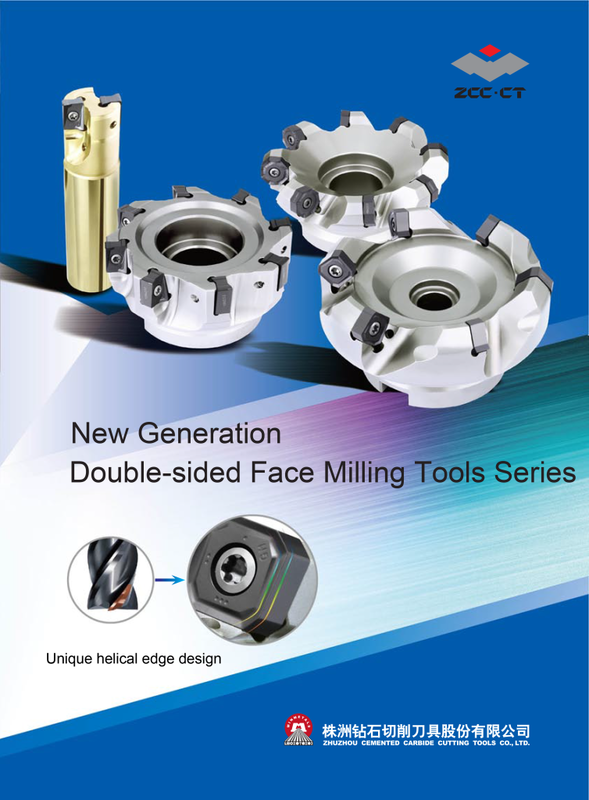 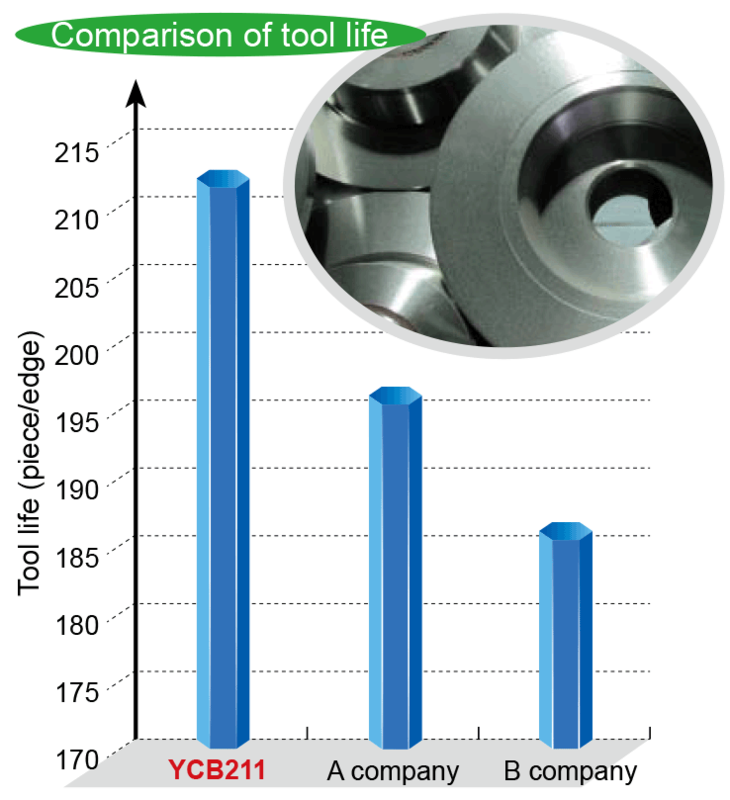 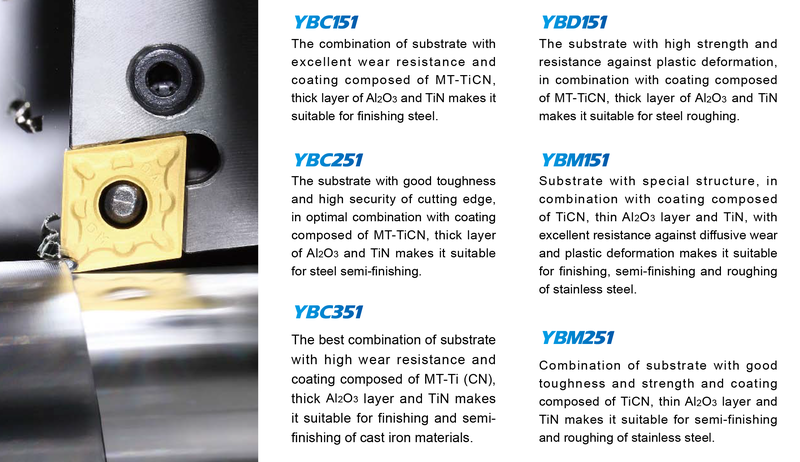 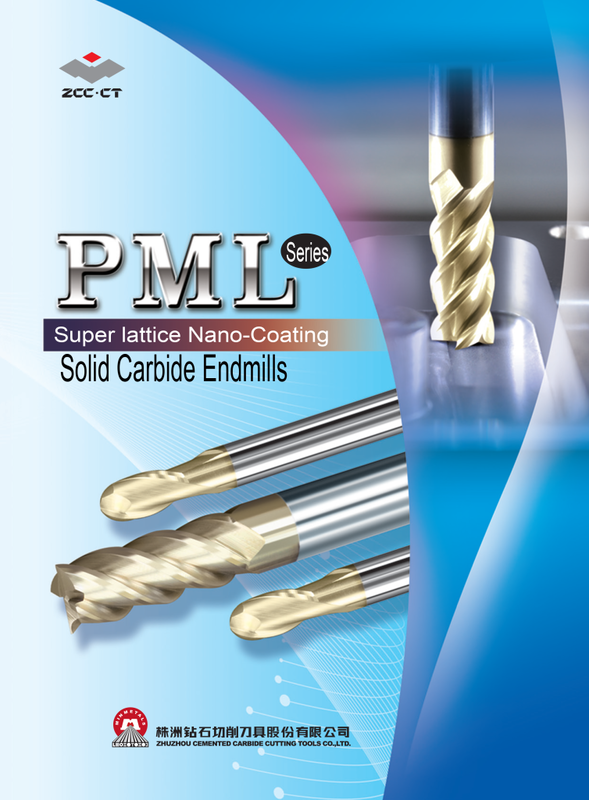 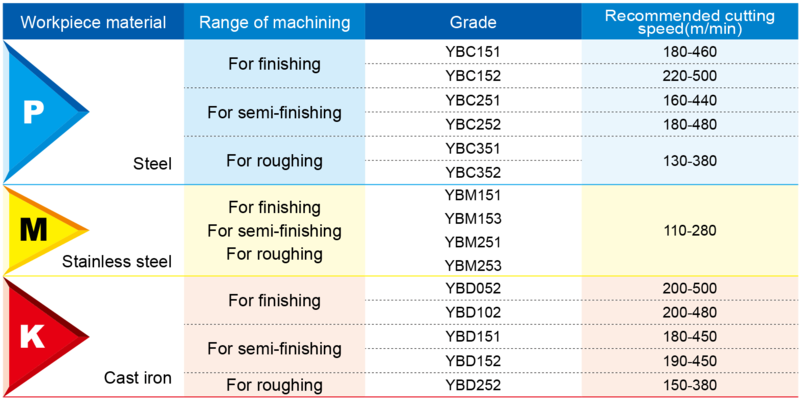 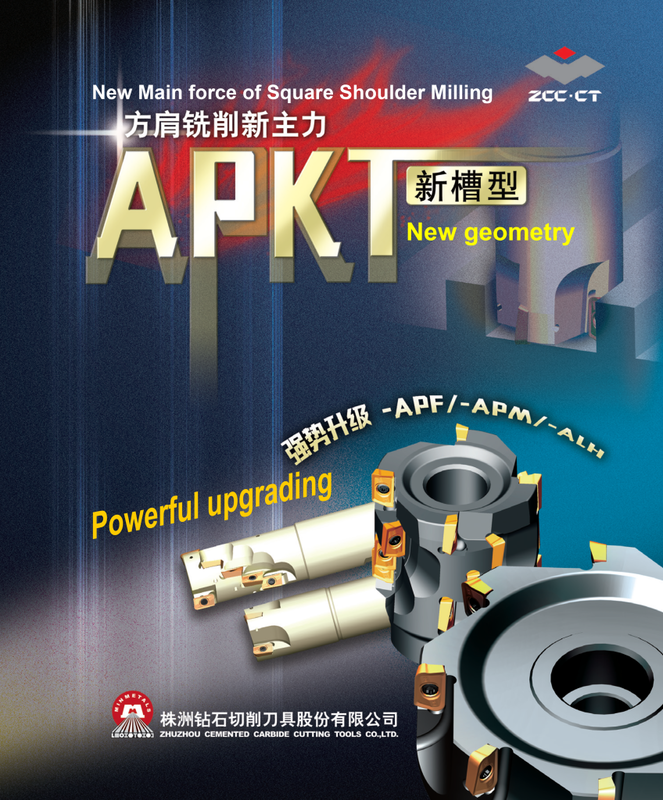 Solid PCBN with good abrasion resistance and chemical stability, compared with the PCBN compact has higher impact strength suitable for the turning/milling roughing and semi-finishing. 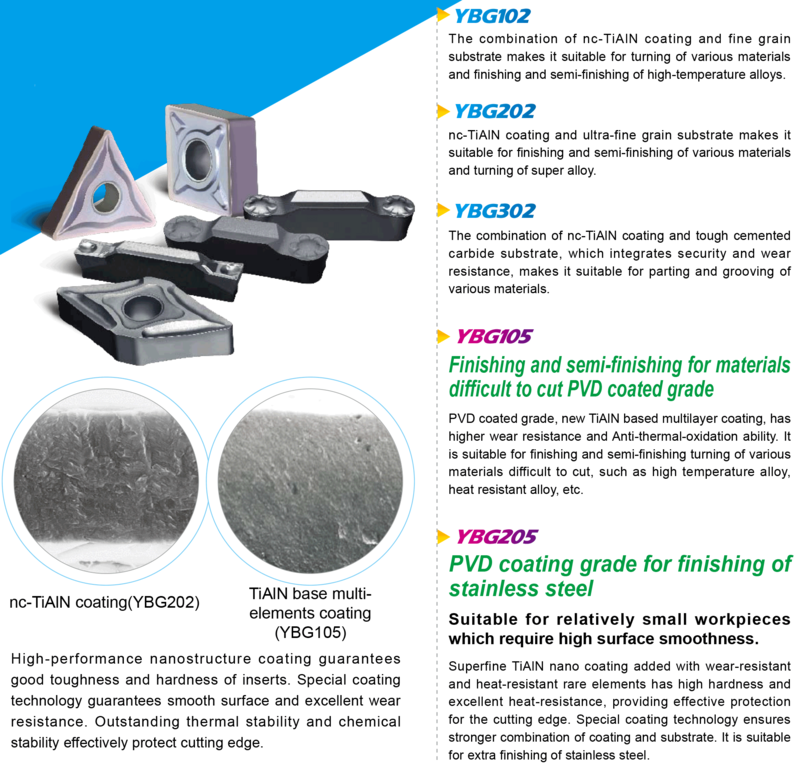 PCD cutting tools with high hardness , excellent abrasion resistance and thermal conductivity , low fiction coefficient for cutting of Non-ferrous metals and their alloys(such as Cu , Al , Mg , etc) , Nonmetallic materials and compound materials.